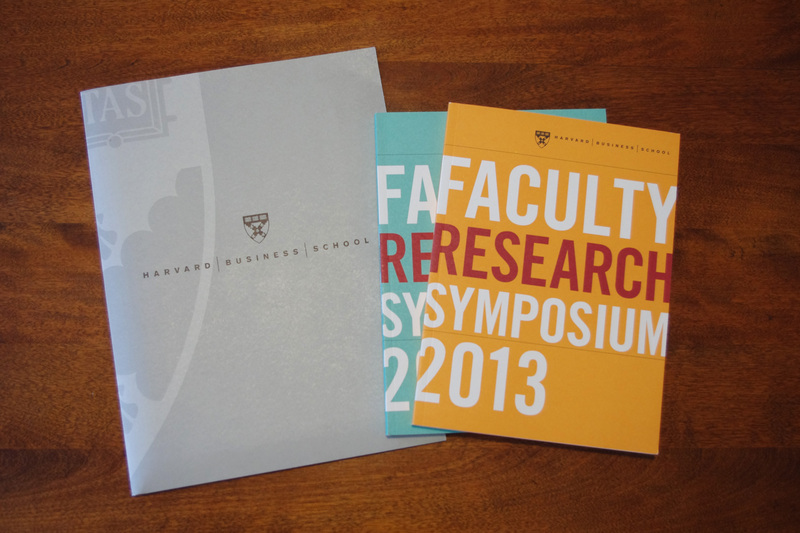 Working with head members of Harvard Business School’s Division of Faculty Research and Development, I developed the look and feel for their annual research symposium. 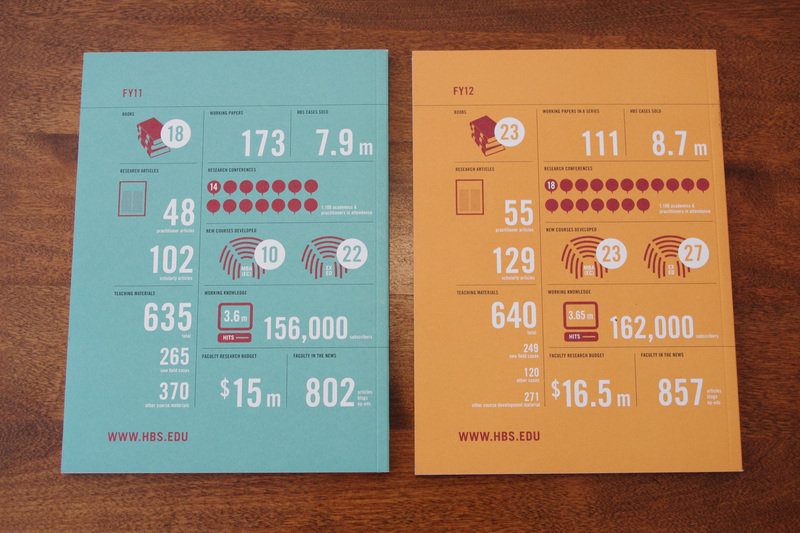 The chosen concept incorporated infographics that showcased the faculty’s achievements that year. It was decided that the style of the event collateral would remain the same from year to year, but the color palette would change. 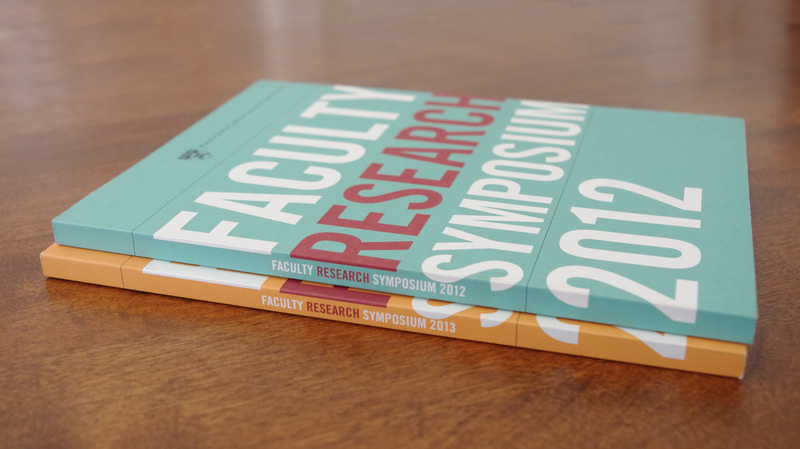 The collateral I put together for the symposium included: A book with an overview of the symposium presentations and a listing of all faculty research, a schedule of events, a folder, and wayfinding signage.